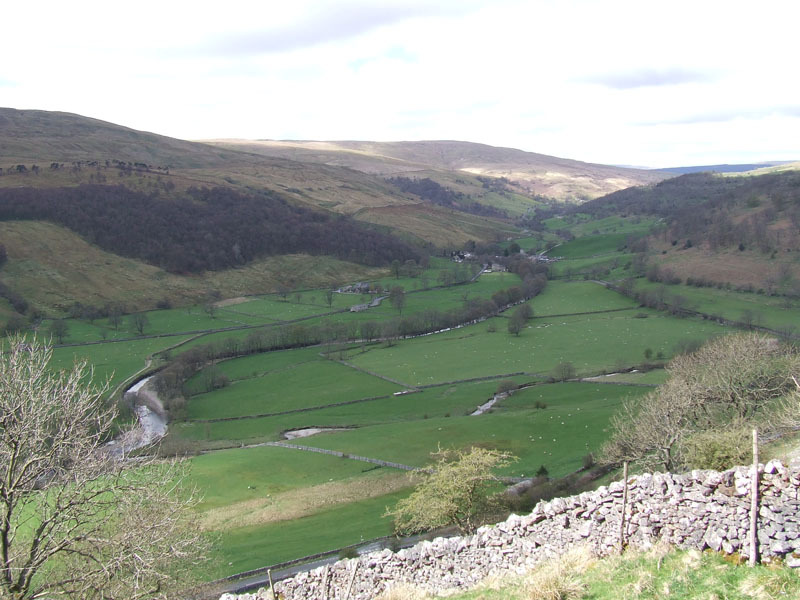 It's 35 miles from home to Buckden. Our start time is 11:25hrs, the car park is three quarters full and £4 allows you to park for more than 2 hours. 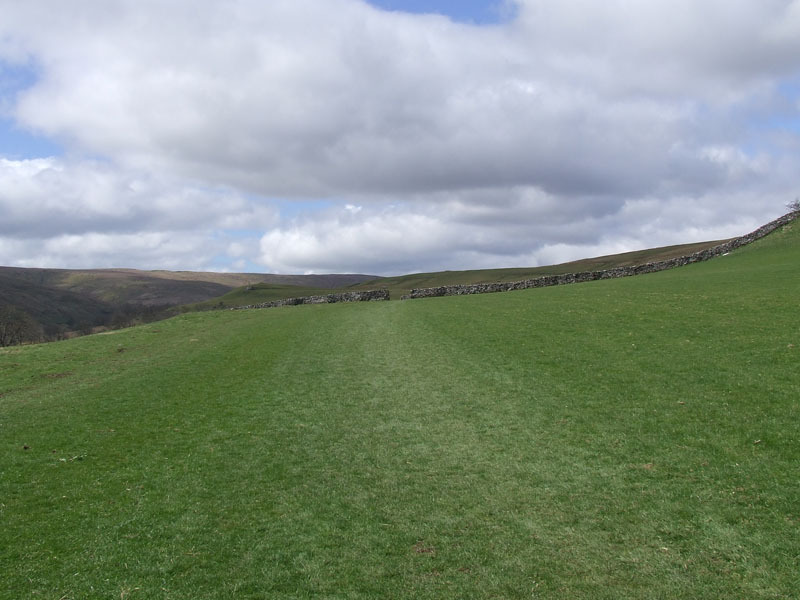 The walk length is undetermined at this point, but the plan is to reach Cray and then head along the terrace to Scar House and maybe Yockenthwaite. 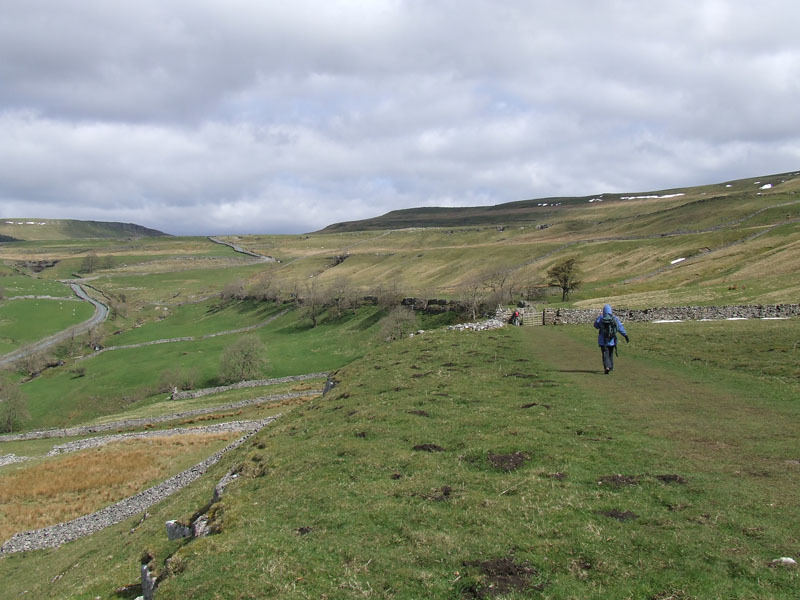 A steady ascent of 400ft takes walkers onto Buckden Rake and directly into the stiff north-easterly breeze! 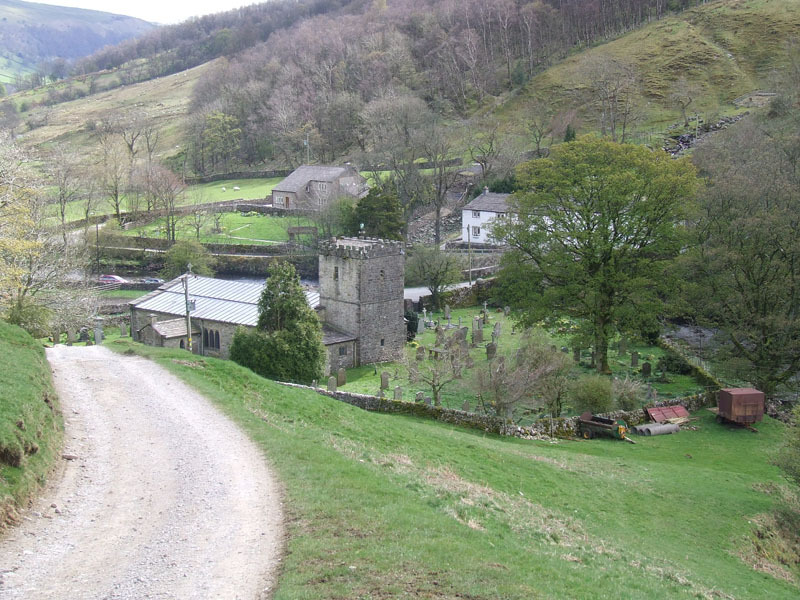 Hubberholme sits in the dale, Yockenthwaite is further away. It's colder than it looks! 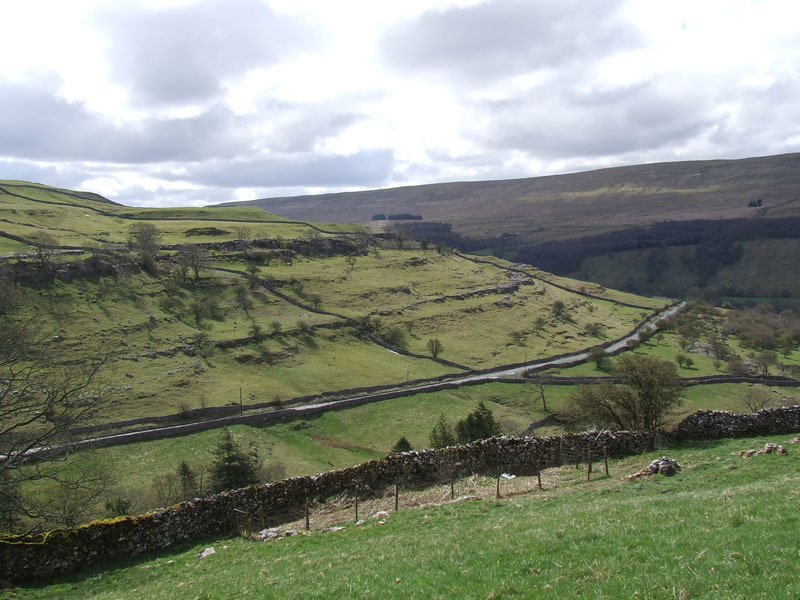 The road leads to Bishopdale and then Wensleydale. 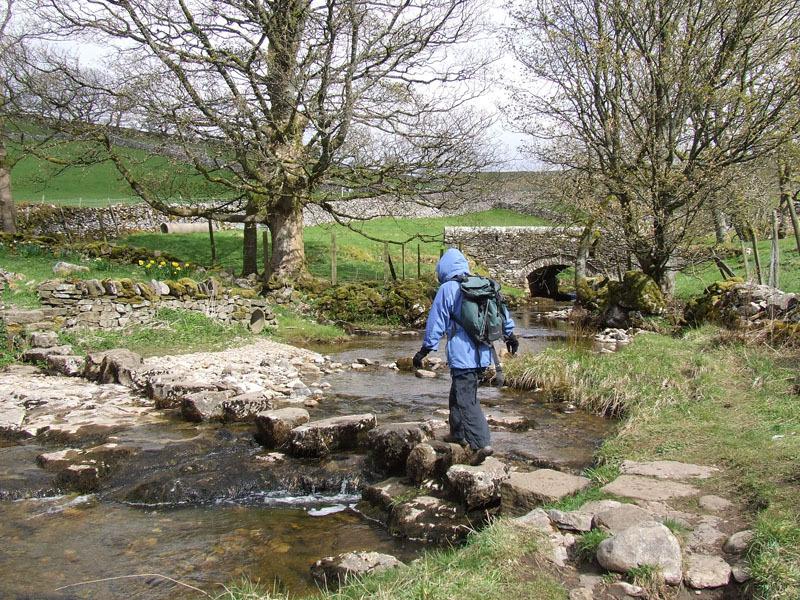 Not many people live in Cray, stepping stones offer a way across the gill. 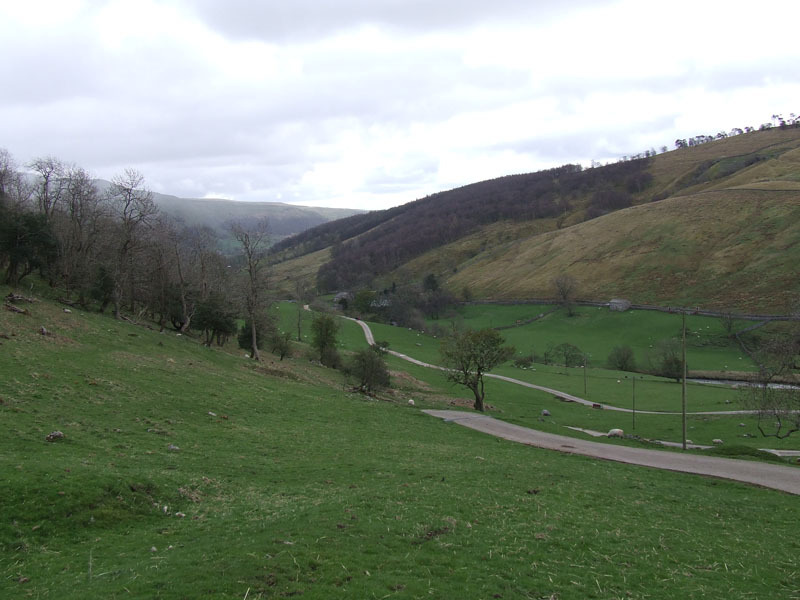 We're now out of the breeze and here's a look back at the road from Buckden. The Rake is actually higher up, well above the tree-line. It's a bit like the mystery guest on a Question of Sport. 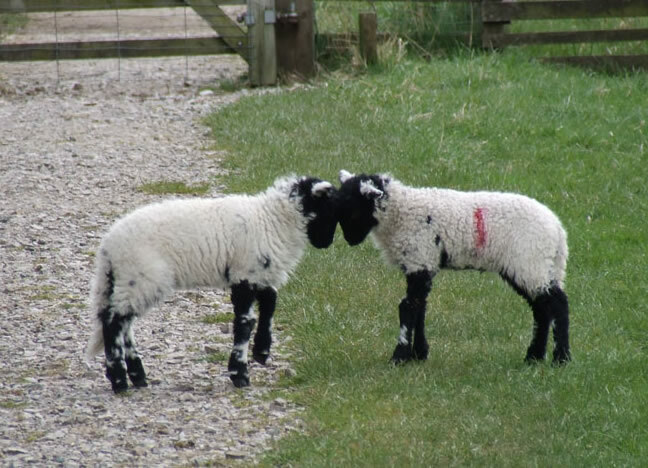 You see the target from various angles and at the end, they reveal themsleves! Next week, a different guest, tune in. 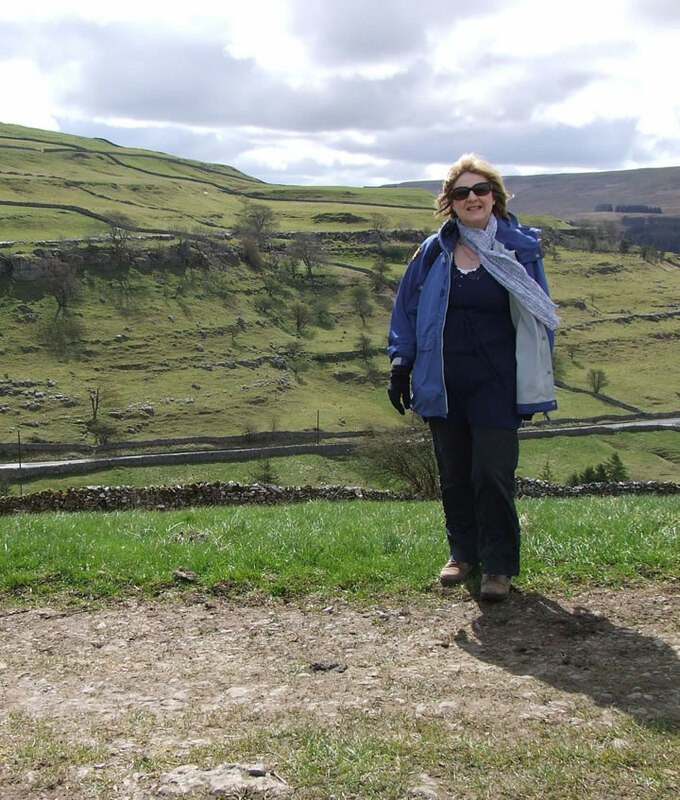 At the head of Upper Wharfedale is this terrace walk, over 1,000ft asl and great views, weather permitting. A little more sunshine, a little less cool breeze would have been appreciated. 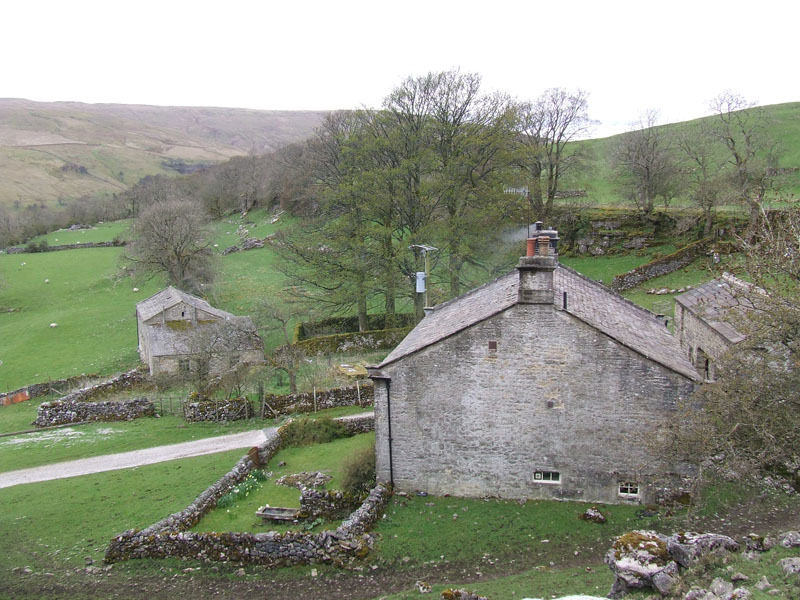 The decision was made at Scar House and the short-cut to Hubberhome was taken. With the lack of sunshine, the incentive to add another two miles or so, has diminished. We had our butties on a bench in the church grounds. 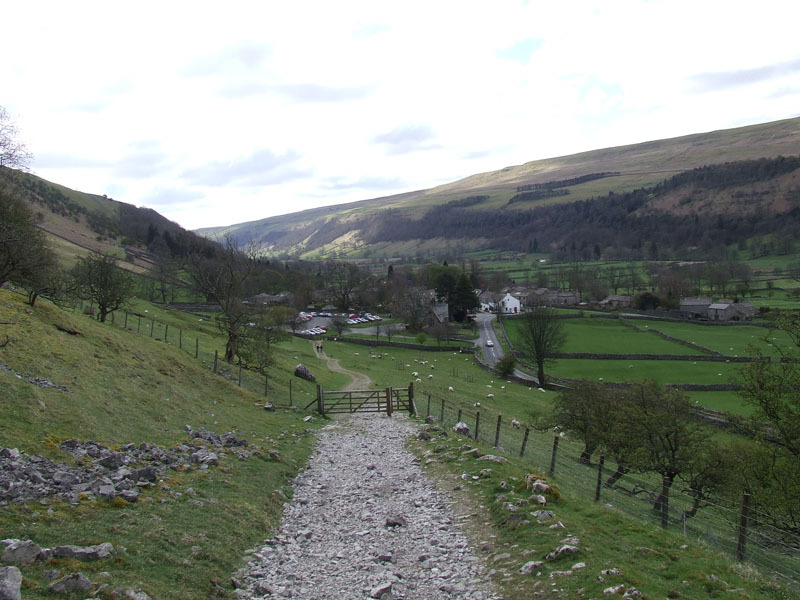 And so we walked off towards Buckden. 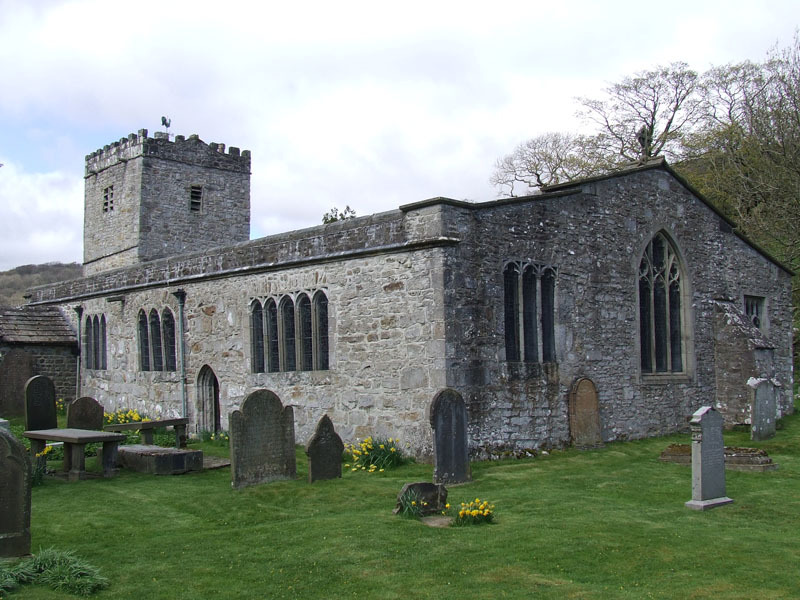 It's well worth a look inside the church. 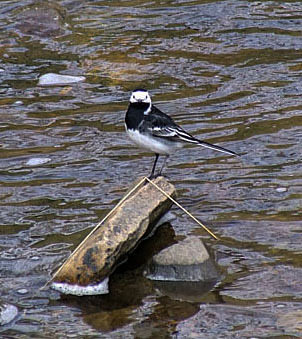 Today's bird photo, there was a pair of these darting around the river banks. 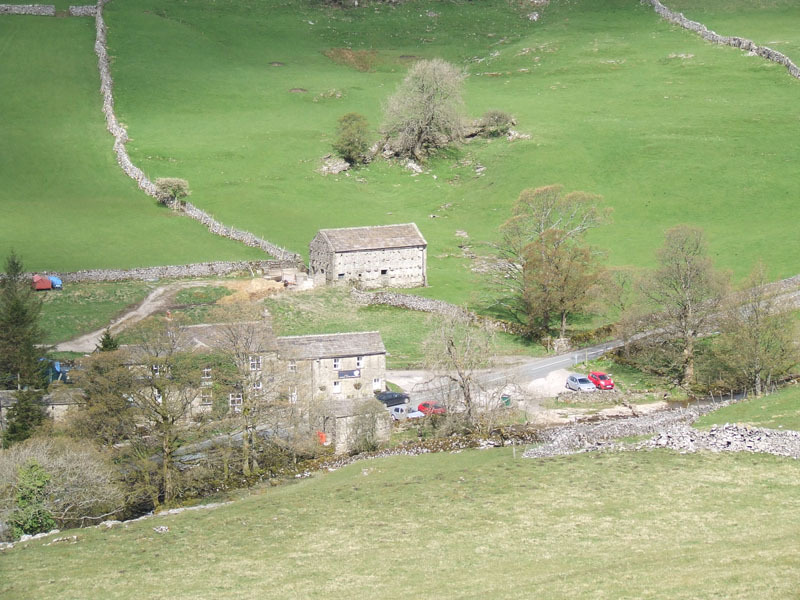 Nearing the end of the walk, the village stores and restuarant is clearly in view. Time taken: 2hrs 50mins over a distance of about 5 miles. 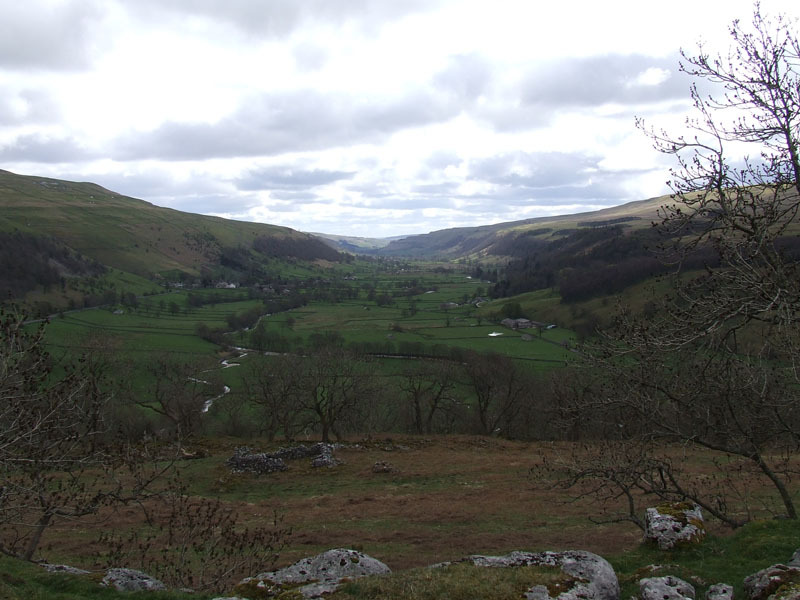 Route: Buckden, Buckden Rake, Cray, terrace walk to Scar House, Hubberholme, road then field path back to Buckden. Weather and conditions: Bright start, clouding over. 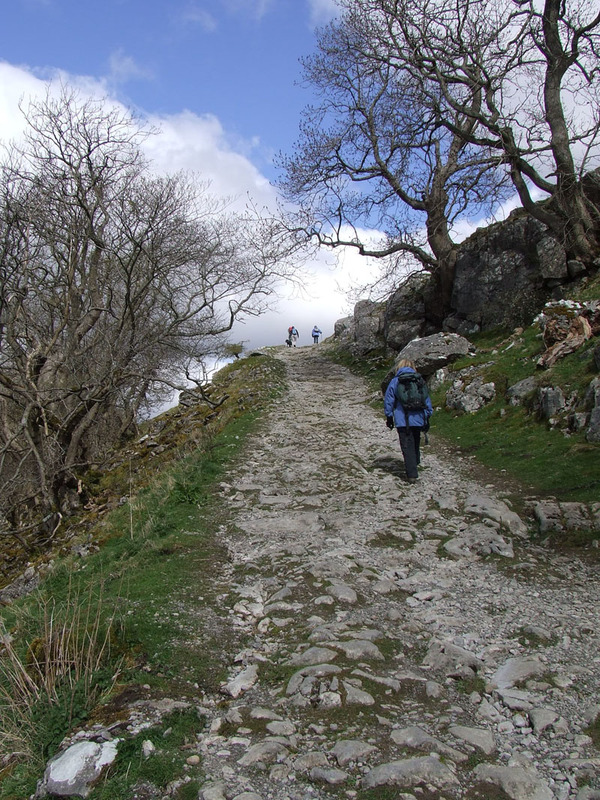 Very cool on the Rake and lacking sunshine throughout most of the walk. Greetings Count: Steady flow of nods and smiles along this popular route. Richard's Refreshment Review: We had tea and cake at the Village Restuarant, which is a cafe during the day. Tables outside for better days and room for 20 ish inside. Lacks a certain something, tea's good, but the atmosphere was as cool as the day.